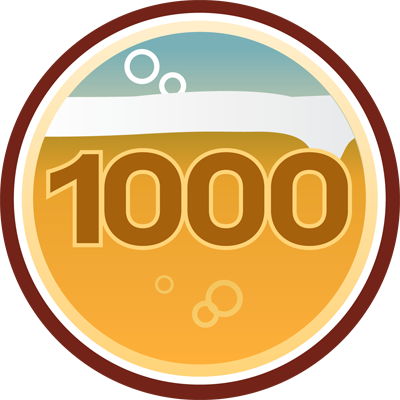 The big thousandth unique check-in on Untappd came up a couple of weeks ago. I knew it had to be something special and so was agonizing over the decision for weeks. I hoping I'll be happy with my selection; Cantillon Rose de Gambrinus. One of Untappd's most respected badges is the Extraordinary Badge. This one is not a simple badge to get, it requires well over a years dedication to get this badge. To get it you must check-in 1000 unique beers. Beer festivals really help rack up the numbers and GABS left me just short of this one. Rose de Gambrinus pours a really nice red colour. It's much more luminous than an amber ale, think more along the lines of a red soft drink. The head is also reminiscent of a soft drink, there is a pink head of maybe a finger or two which dissipates very quickly. For the style it looks spot on, you're not really looking for it to look like a stereotypical beer. 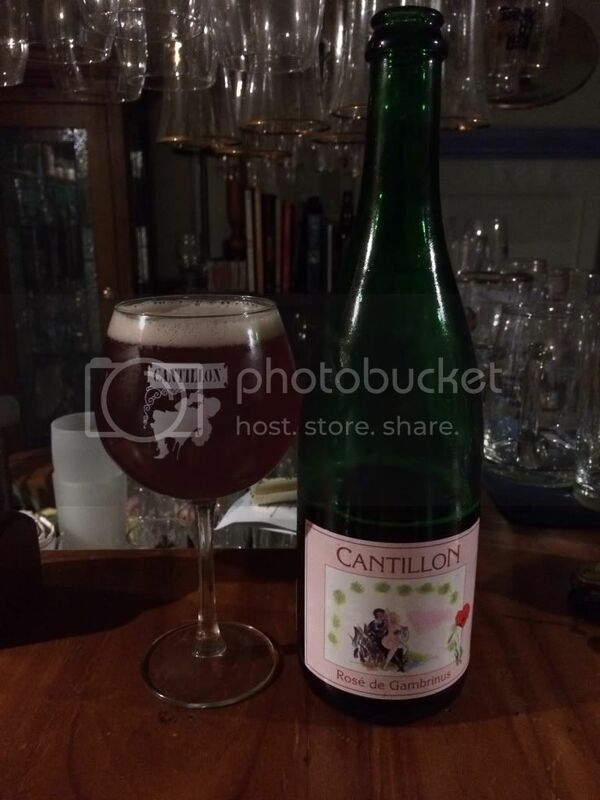 If you're not a lambic drinker, the smell of Cantillon Rose de Gambrinus could be enough to put you off. It's seems almost excessively tart at first before elements of raspberry, Belgian yeast and what appears to be hop elements of citrus and floral notes, which I was not expecting to be as dominant of an aroma. What can you say about this beer? It's close to perfect! The tartness is bitingly strong yet somehow not overpowering. The raspberry flavour comes through well and there is just about enough Belgian funk to keep the real enthusiasts happy, while not enough to put anyone off. The carbonation level seems spot on. My review of this beer in no way does it justice, it is simply sublime! All lovers of sour beers know of Cantillon's range - I would put this very close to the top of those I have had! I know it takes time for beer drinkers to come round to sours, but this beer is one of the reasons I'm so glad I did! So 1000 unique check-ins down, onwards to the next milestone 2500!